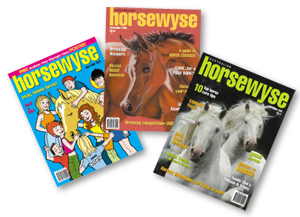 HorseWyse Magazine is 100% Family owned, produced and printed! HW has been Australia's No. 1 Magazine for 'tween and teen' YOUNG HORSE LOVERS, YOUNG RIDERS and HORSE CRAZY readers aged 6 to 16 years, since 2001. HW offers horse lovers pages of fun stuff, training tips, feature articles, riding tips, colour posters & competitions! Subscribe to HorseWyse in 2019 and you'll automatically go in the running to WIN a $200 Giddyup Girl wardrobe EVERY ISSUE! Plus so much more! 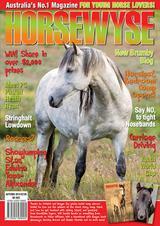 HW's NEW AUTUMN 19 issue is on sale in newsagencies and Horseland Stores nationwide from mid November. HW's SUMMER 18 COMP results are in the current AUTUMN issue: Totally Horses Club CONGRATS to all our worthy winners and all prizes will be received before Autumn issue out. HORSE CRAZY? 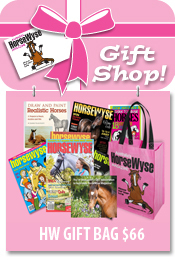 Buy a BAG O'BACK ISSUES for some FAB horsey fun or the perfect HORSE MAD gift! We're SCHOOL LIBRARY SUBSCRIPTION SPECIALISTS! Email us with your school subscription & invoice request today! We can also source ANY of the product items in the latest Breyer Catalogues - and all at GREAT PRICES with 'HORSESOME' customer service! 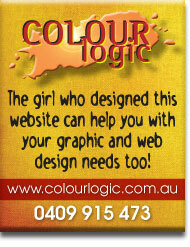 DON'T BE SCAMMED - Always book your advertising direct through HorseWyse or phone HW Editor Emma Lipscombe 0417444025! 'PLEASE...Can I Have a Pony' DVD ORDER NOW! This 'all-Australian made' DVD is proudly supported by SSG Gloves, Wintec, GiddyUp and MitaviteHW's famous DVD SHOWBAGS ARE NOW ON SALE! 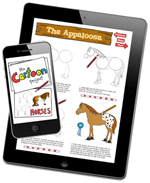 NEW from HorseWyse illustrator Peta Taylor and The Cartoon Project! This is a specialist App. for horse lovers who love to draw - with easy to follow step-by-step examples of how to sketch the collection of horse breeds from the original book Learn to Draw Horses! Now available as an App. for iPhone, iPod Touch and iPad Android! NEW ZEALAND readers can now subscribe for just $55 AUD...and INTERNATIONAL SUBSCRIPTIONS ARE NOW AVAILABLE! Join in the fun! Contact HorseWyse to enquire about pricing. In the meantime, we hope you have FUN with the beautiful horses in your life...and in your horsey dreams as well! Discover your inner horse...with HorseWyse! Our ALWAYS popular HW back issues are available from as little as $3 each (plus postage) and make FANTASTIC pony party or pony club prizes! Click on the image for further details! Planning a FUNDRAISER for you local riding or pony club? Contact Emma on 0417 444025 or email us to see how HW can help!